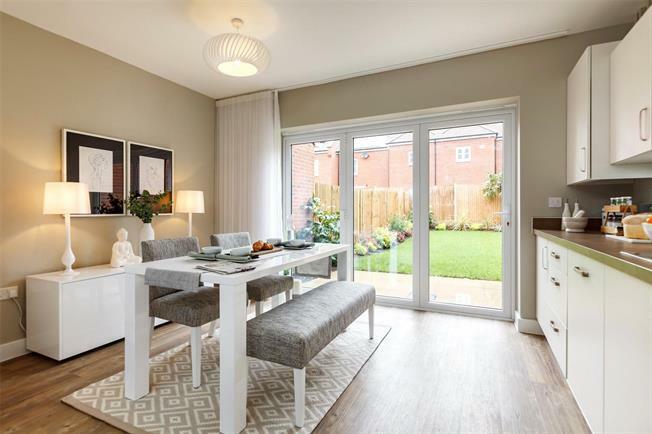 3 Bedroom Terraced House For Sale in Whetstone, London for Asking Price £690,000. - Contemporary Kitchen by Symphony with soft close doors and draws, Laminate work top with matching upstands, Stainless steel 1½ bowl with drainer and chrome mixer taps, AEG stainless steel appliances to include single oven, 4 burner stainless steel gas hob, stainless steel splash back to hob, stainless steel chimney hood, Integrated dishwasher, fridge freezer and washer /dryer. Chrome low energy down lighters. Under cabinet lighting. - Living Room and Study. - Bathroom and Jack & Jill Ensuite with white sanitaryware and Walnut coloured vanity top. Chrome towel rail. Chrome low energy down lighters. Half-height tiling to all walls, Full-height tiling to shower enclosure in Ensuite that have either Thermostatic or Electric shower.